Since the launch of Divi theme, Elegant Themes, the most reliable WordPress theme (and plugin) maker company, has not looked back and whatever it has done, it has been something big. After the launch of their super powerful page builder plugin Divi Builder, they again hit a home run with the launching of an innovative magazine WordPress theme– a theme that no other magazine style theme seems to be on a par with. It is not just another theme that only leverages magazine style homepage but it lets us build custom magazine layouts and the opportunities are limitless. We can not only create unique magazine layout for our website front page, but also craft category page layouts utilizing the power of Divi builder. To be very honest, I had never come across a magazine theme that makes it possible to create layouts for category pages. 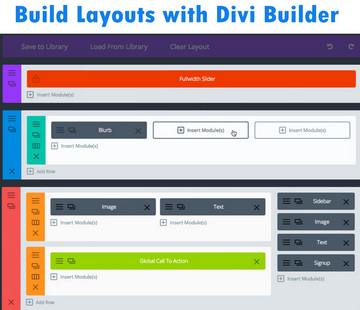 Divi builder works well for category layouts and it offers several custom modules to add to the layouts to be created. We can have one layout for all categories or different layouts for different categories. 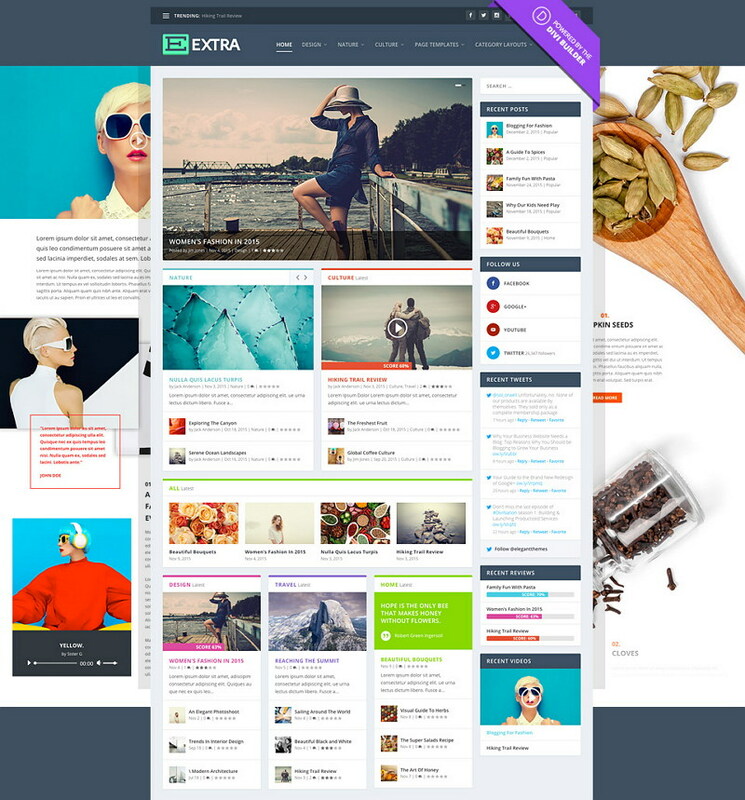 Extra is a part of Elegant Themes Club – A cheaper theme club that is powered by the incredibly high quality development team doesn't seem to exist. No other magazine theme runs on its own layout builder. Either NewsMag, NewsPaper or GoodNews all relies on a 3rd party layout builder plugin (Visual Composer) for magazine layout creation needs. Extra runs its own in-house page builder – the Divi Builder. Elegant Themes is the largest theme company that meticulously takes care of all of its products, especially Extra and Divi. You can use these themes without the fear of development ever being stopped. It's not functionality of a theme/plugin that only matters but it is important as well who is behind that theme/plugin. The developer or the developing team that powers the product must also be reliable and 100% dedicated to their product. There have been many times when a theme made a splash, was really good in features, got listed and sold well on Themeforest marketplace, but after some time all of a sudden their developers abandoned them. The absence of updates and support left their users to twist in the wind. Once you've adopted a theme and used its shortcodes and custom post types for the site content, it is hard to move to other theme, as the content gets locked with shortcodes and custom post types seeded by the theme. At last to overcome this issue and to get your site recovered from the crisis, you need to hire a developer and pay him/her heavy amount of money.. But the naked truth is that keeping an orphaned theme/plugin leaves your website totally insecure and vulnerable to the malwares. Additionally its compatibility to the latest internet browsers tapers of and eventually your site layout is broken in many internet browsers. Extra is an extended version of the Divi theme enriched with the power of Divi theme and Divi builder. Extra is empowered by the same theme customizer, same theme option panel and the Divi Builder that Divi theme has. The main difference between the two themes is that Extra includes an special extension of Divi Builder that is meant to build magazine layouts for pages and categories. Additionally Extra comes with many other tweaks for magazine websites such as review and rating system, related post widget, author bio widget, blog timeline template, sitemap template, author template and yes, Mega Menus too. Now that Extra theme has been launched, bloggers no longer need to delve into the plethora of WordPress themes to pick a theme that has not only SEO optimized code but also has features required essentially for a blog portal. Now bloggers can have an all-in-one solution for their blog. They don’t require to use additional plugins for rating, author bio, related posts, sidebar widgets etc. Extra lives up to every expectation of bloggers. Post carousal – Posts carousal is a horizontal post thumbnail slider that displays multiple posts with their thumbnails and post title. To be very honest, post carausal widget is a must-have part for a magazine style layout and adds beauty to it. Every post or Extra’s custom post type comes with an optional rating widget just below the post editor. Site admin can choose to create a multi-criteria rating for any post or keep it disabled. Star rating is displayed in post meta section and below the post as well. You can also allow visitors to rate the post. A theme without essential widgets compels you to use 3rd party plugins. Extra theme’s Mega Menu has an option to show your recent and featured posts in a beautiful layout. Site visitors can access your site recent/featured post hovering on a menu item. To add post list in mega menu, just add any category to appearance > Menu > that you want to display post from. Importance of page templates can’t be overlooked in terms of a CMS portal. Extra includes all essential page templates. 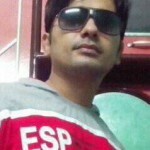 Author template shows all site authors with their profile image and author bio. Timeline template shows all posts month-wise. Part of Elegant Themes club membership. That means you will get all other premium themes and plugins including Divi Builder (stand-alone, works with any WP theme), Divi theme, Bloom (optin popup plugin), Monarch (social media plugin) etc.